Stereotactic Radiosurgery (SRS) and Stereotactic Body Radiotherapy (SBRT) are nonsurgical procedures that are used in the treatment of tumors, by delivering precise radiation at very high doses. Stereotactic Radiosurgery and Stereotactic Body Radiotherapy are used for treating brain tumors and tumors located in other areas of body. Thus, depending upon the location of the tumor, different parts of the body could be involved. Why is the Stereotactic Radiosurgery and Stereotactic Body Radiotherapy radiology procedure Performed? There have been no recent advances with respect to Stereotactic Radiosurgery and Stereotactic Body Radiotherapy. What is the Cost of performing the Stereotactic Radiosurgery and Stereotactic Body Radiotherapy radiology procedure? The cost of Stereotactic Radiosurgery and Stereotactic Body Radiotherapy procedure depends on a variety of factors, such as the type of your health insurance, annual deductibles, co-pay requirements, out-of-network and in-network of your healthcare providers and healthcare facilities. How does the Stereotactic Radiosurgery and Stereotactic Body Radiotherapy radiology procedure work? How is the Stereotactic Radiosurgery and Stereotactic Body Radiotherapy radiology procedure Performed? Stereotactic Radiosurgery and Stereotactic Body Radiotherapy is performed as an outpatient procedure, at a hospital. An interventional radiologist performs the Stereotactic Radiosurgery and Stereotactic Body Radiotherapy procedures. An interventional radiologist and oncologist interpret the results of Stereotactic Radiosurgery and Stereotactic Body Radiotherapy. A physician will request your consent for Stereotactic Radiosurgery and Stereotactic Body Radiotherapy procedure using an Informed Consent Form. What are the Limitations of Stereotactic Radiosurgery and Stereotactic Body Radiotherapy radiology procedure? The Stereotactic Radiosurgery and Stereotactic Body Radiotherapy cannot be used with certain kinds of tumor, due to the tumors’ insensitivity to radiation therapy, or due to the location of the tumors. What are Stereotactic Radiosurgery and Stereotactic Body Radiotherapy procedures? What is to be expected during the Stereotactic Radiosurgery and Stereotactic Body Radiotherapy radiology procedure? Anesthesia is rarely used during the Stereotactic Radiosurgery and Stereotactic Body Radiotherapy procedure. Since Stereotactic Radiosurgery and Stereotactic Body Radiotherapy are minimally-invasive procedures, the blood loss involved during the procedure is minimal. What are the possible Risks and Complications during the Stereotactic Radiosurgery and Stereotactic Body Radiotherapy radiology procedure? What Post-Operative Care is needed at the Healthcare Facility after the Stereotactic Radiosurgery and Stereotactic Body Radiotherapy radiology procedure? 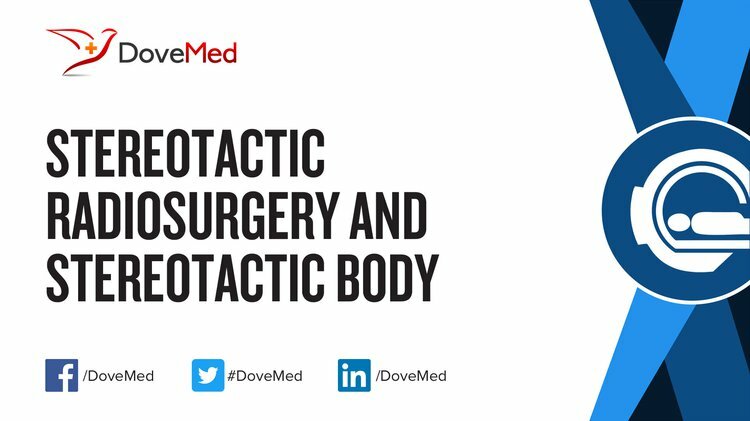 No specific post-operative care is needed at the healthcare facility after Stereotactic Radiosurgery and Stereotactic Body Radiotherapy procedures. What is to be expected after the Stereotactic Radiosurgery and Stereotactic Body Radiotherapy radiology procedure? Patients may need to call their physician in the following situations after Stereotactic Radiosurgery and Stereotactic Body Radiotherapy. What Post-Operative Care is needed at Home after the Stereotactic Radiosurgery and Stereotactic Body Radiotherapy radiology procedure? Patient may need several follow-up appointments to check for effectiveness of the treatment and any signs of cancer recurrence after the Stereotactic Radiosurgery and Stereotactic Body Radiotherapy procedures. Stereotactic Radiosurgery and Stereotactic Body Radiotherapy do not involve the removal of any body tissue. Since no tissue is removed during the Stereotactic Radiosurgery and Stereotactic Body Radiotherapy procedure, a pathologist does not get involved in the care of the patient. Who will you receive a Bill from, after the Stereotactic Radiosurgery and Stereotactic Body Radiotherapy radiology procedure? The patient is advised to inquire and confirm the type of billing, before the Stereotactic Radiosurgery and Stereotactic Body Radiotherapy procedures are performed.